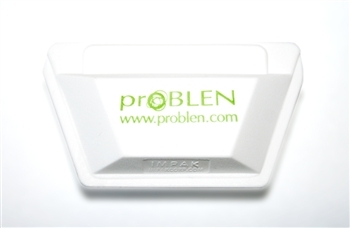 Handy pocket-sized pouch is perfect for carrying your daily vitamins and supplements, it keeps pills safely contained and prevents accidental spills. Easy to use, just squeeze the sides gently to open. Plastic. 2 3/4" long x 3/4" wide x 2" high.